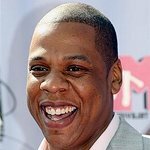 Jay-Z Asks Fans to "Answer the Call"
“Answer the Call” – It is what the first responders to the tragic scenes on 9/11 did, and it is the name of rapper Jay-Z's upcoming charity concert, which will fittingly benefit the New York Police & Fire Widows' & Children's Benefit Fund. “On Sept. 12, I turned on the TV and saw footage of these heroic actions, people running into buildings and saving each other, and I saw the strength of New York, it may me proud,” said Jay-Z. He hopes to raise up to $1m through the sales of tickets and proceeds from merchandise to help support more than 700 widows and families of New York’s fallen heroes. “This is my chance to help out and do something,” he told reporters at the press conference announcing the concert. The concert will be held at Madison Square Garden on September 11th, the 8th anniversary of the attacks. Jay-Z is currently in the process of lining up special guests to come out and support the cause. Tickets for the benefit go on sale September 8 through Ticketmaster.com, and will cost $50.